I think I’m better-looking than Peyton. I know my daddy loved me, but in his generation they didn't hug their kids and tell them that. I have done that, but Tony just reinforced that idea. When I saw Eli on Sunday (before the Giants' playoff game), I hugged him. Then I hugged him the next day. And then, when I took him to the hunting club (this week), I hugged him. I think I get a little better (in people's memories) every year because of my brothers' success. When your career ends at 18, there's a lot up in the air. I believed that if the general public, especially the American public, had access to the information contained within the [Iraq and Afghan War Logs] this could spark a domestic debate on the role of the military and our foreign policy in general as well as it related to Iraq and Afghanistan. 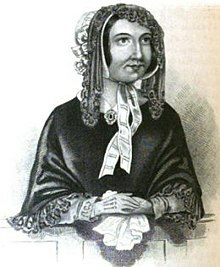 Marie Manning was a Swiss domestic servant who was hanged on 13 November 1849, after she and her husband were convicted of the murder of her lover, Patrick O'Connor, in the case that received a name of "Bermondsey Horror". It was the first time a husband and wife had been executed together in England since 1700.